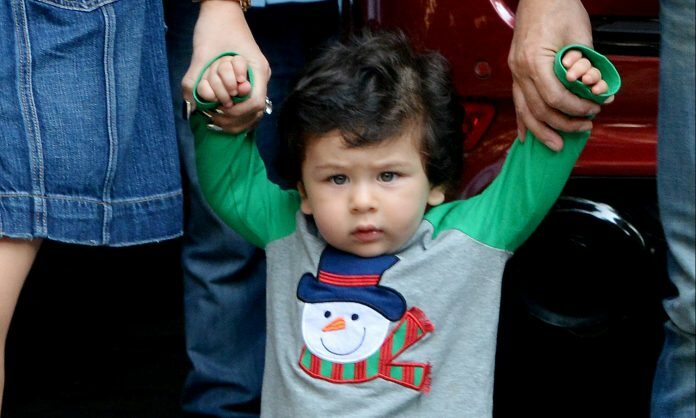 Taimur Ali Khan Pataudi, India’s biggest little star, turned two in December. Mumbai: About a month ago, in or near Cape Town, South Africa, India’s most famous baby turned two. He was helped on to a tiny pony as his parents, perched on their own horses, looked on. The photo zipped around the internet, popping up simultaneously on dozens of news sites and gossip blogs. Comment sections on gossip blogs and social media accounts exploded with heart emojis. He was a “doll”, a “rasgulla”, even “little Tim-Tim”. Many gushed – as many always do – hat he looked like “a prince”. 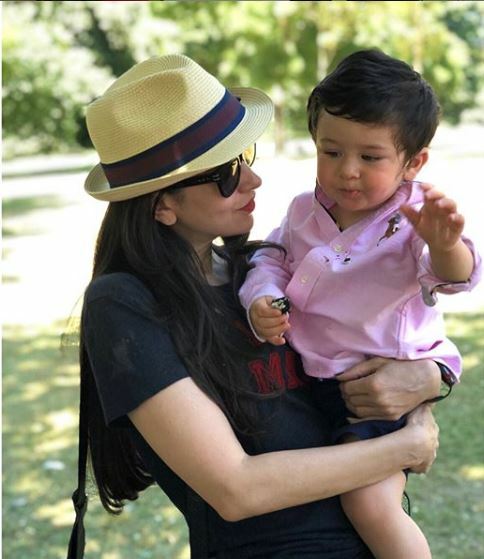 Taimur Ali Khan Pataudi may not know he’s famous, but he’s never known what it’s like to not be photographed. Every evening, sometimes twice a day, photographers on motorbikes hang around his house, waiting for him to appear on his balcony, or leave for a playdate. The photos are on Instagram in hours. The republic of India does not recognise royal claims to power, but the curious phenomenon of being constantly followed by paparazzi may actually give Taimur, the grandson of the last nawab of Pataudi, a taste of that most royal of duties: To be constantly, invasively, and tirelessly looked at. For two years now, millions have tuned into the spectacle of Taimur growing up. 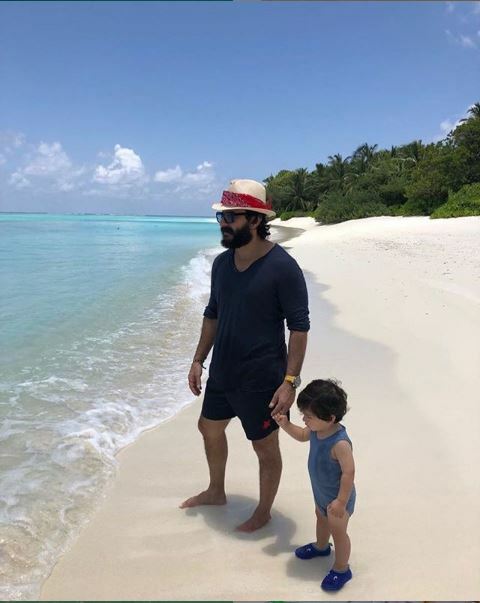 On a recent episode of Koffee With Karan featuring Taimur’s father Saif Ali Khan, four photographers – the heads of Mumbai’s four main celebrity photo agencies – enthusiastically agreed: He was “the biggest social media star” of the moment. Host Karan Johar suggested that the price for a photograph of Taimur was higher than that of any superstar. Khan, looking spooked, said he’d heard that Taimur’s photos sold at “1500 bucks” a pop. It’s difficult to say if the interest in this baby is spontaneous, carefully cultivated by photo agencies, or just the way things work in the 21st century when you’re born into a family that isn’t particularly bothered by the glare of celebrity. No corner of this triangle exists independent of the other. Taimur’s parents have told interviewers that they want him to be a “normal” boy, which is presumably difficult if you think it’s natural for motorbikes bearing friendly young men to follow your car wherever you go. The paparazzi who hang out once or twice a day outside his apartment complex, waiting for him to appear on the balcony or go on playdates, are professional young men, by all accounts fond of Taimur, even protective of him in some respects. Mumbai’s two main tabloids, Mumbai Mirror and Mid-Day, regularly send photographers around, but they’ll only publish photos of him that include at least one adult family member. “For ethical reasons?” I asked the photographer who told me this. “Sort of,” he smiled. 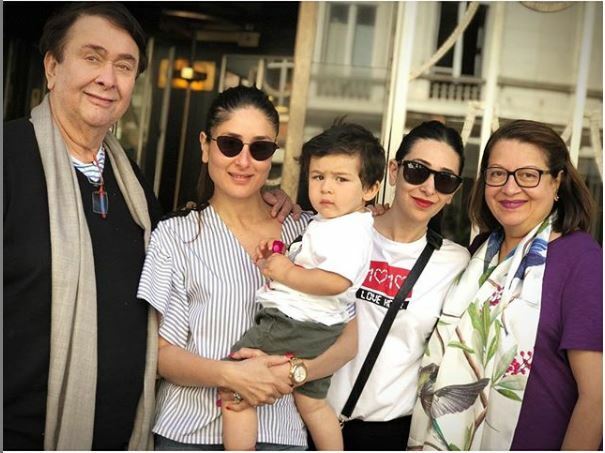 Viral Bhayani, the photographer sometimes credited with making Taimur a celebrity, said he’d stop photographing the boy if Khan or Kareena Kapoor, Taimur’s mother, asked him to. “We’re not adamant,” he added. Nor is Taimur their bread and butter, contrary to all reports. Soon after Taimur was born in December 2016, his parents unwittingly triggered a Right-wing meltdown on Indian social media by announcing his name. There were death wishes, insults, and suggestions that his mother was a victim of “love jihad”: It was like the beginning of a grim Salman Rushdie novel. The underlying problem wasn’t really with how many beheadings the historical Timur oversaw, of course. It was the result of Hindutva’s simmering resentment over India having had Muslim royalty – descended from Timur, if not Timur himself – at all. A day-old baby had simply become a convenient target. It’s not hard to see why the parents of a newborn subjected to this sort of reaction might be grateful for a show of more benign interest. Erum named her daughter Myra. Her book is full of stories about how prejudice among India’s upper-crust filters down to children who, as young as five, already know to ask their classmates if they eat beef and their moms “come from Pakistan”. This is an objective fact of his appeal: He reminds people of an earlier generation of Kapoor men. Almost everyone I spoke to while writing this mentioned Raj, Shammi and Shashi — the family’s most beloved stars. Saif Ali Khan was roundly mocked in 2017 for ascribing the film industry’s nepotism to a popular interest in “eugenics” (a term no one who isn’t a Nazi should use) and “genetics”. Even if he is unwilling to accept that talent or ability does not reproduce itself in genes, Khan doubtless understands how keenly interested Indians are in seeing families perpetuate themselves. 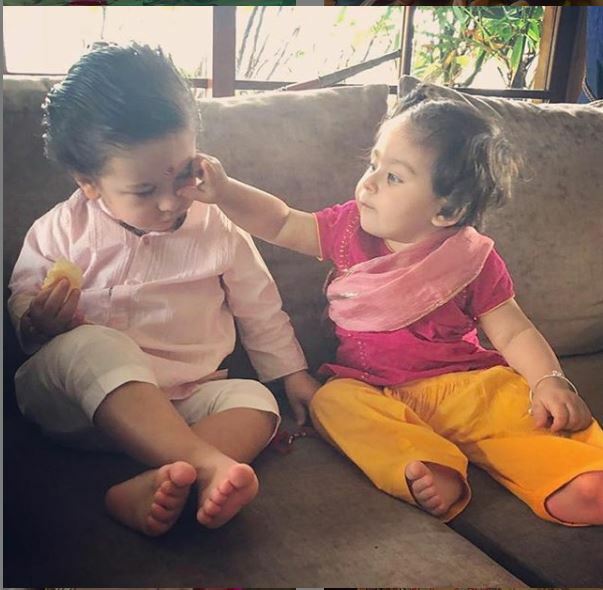 Taimur is also translucently pale, something that interests a vast number of Indians obsessed with fair skin, especially when judging women and children. He draws comparisons to the Murphy Radio baby, the face of a venerable British brand that became iconic in newly Independent India. Some months ago, the appearance of a Pakistani child in the UAE named Inaya Shoaib, with chestnut hair and apple cheeks, set Taimur fandom abuzz with wonder at their boy having a “doppelganger”. Any real resemblance between the two will be visible only to excitable fans. Peshawar, from where the Kapoor family emerged, must be full of babies with the same colouring. Famous children induce a strange double consciousness in their followers. They’re loved because their fans feel at least a little sorry, if not outright guilty, about being interested in them. They are pitied, sometimes because they suffer in the full glare of the cameras, as the English princes William and Harry did, but also because we imagine fame itself as a kind of suffering. That should, by all rights, make us the tormentors of these young people, their jailors in a glass cage where they are under constant observation. Perhaps all babies are like royals in this regard. They never ask for our scrutiny, but we assume they’re born to it, anyway. Supriya Nair is a writer and editor from Mumbai. This is an updated version of the article.